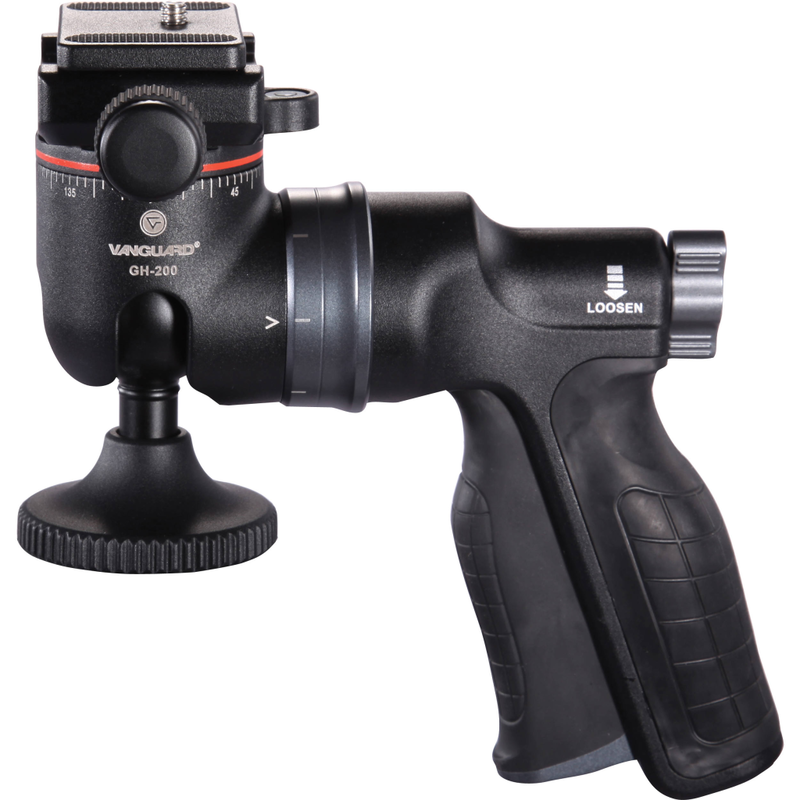 The Vanguard GH-200 Pistol Grip Ball Head supports standard and large zoom lenses with impressive security. This well-engineered ball head has the Grip Position Release System with a pistol grip-style handle, which rotates 360 degrees and enables you to unlock, reposition and lock gear into place with ease. Its quick shoe plate with clamp knob enables large telephoto lens forward and backward shifting movement while maintaining steady centre-of-gravity support and preventing accidental release. The Friction Control System allows you to modify the level of friction on the ball to accommodate changing equipment weight such as switching to heavier lenses. The centre ball head with bubble level and quick release plate includes a 72-click point panorama, offering 72-point rotation with click-into-place positioning that moves the camera 5 degrees per click and prevents jumps in shots to ensure a perfect 360-degree panorama. The GH-200 supports up to 6kg and uses Arca Swiss compatible quick release plates.